Vital signs monitors are essential pieces of equipment in many clinics, hospitals, physician's offices, and other healthcare facilities. The devices can, however, be cumbersome and bulky. 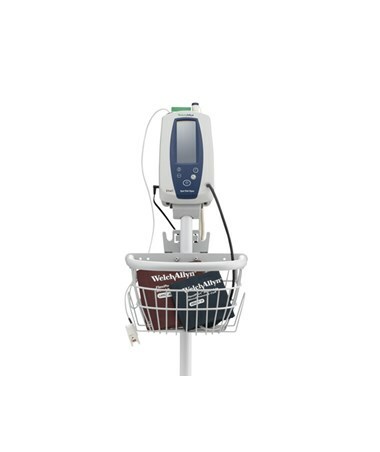 The 4700-60 Mobile Stand is compatible with Welch Allyn's vital signs monitoring systems including Spot Vital Signs®, Spot Vital Signs® LXi, 300 Series, and Connex® monitors. This product will help keep the time it takes to take vital signs to a minimum by allowing you to quickly move from one patient to the next with the vital signs device of your choice. The stand offers ultimate portability and convenience. 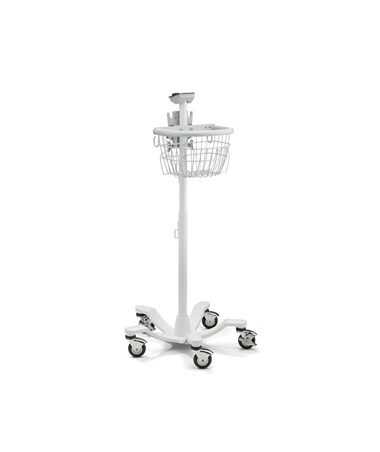 Its five-legged, wheeled base provides stability and easy transportation from room to room. 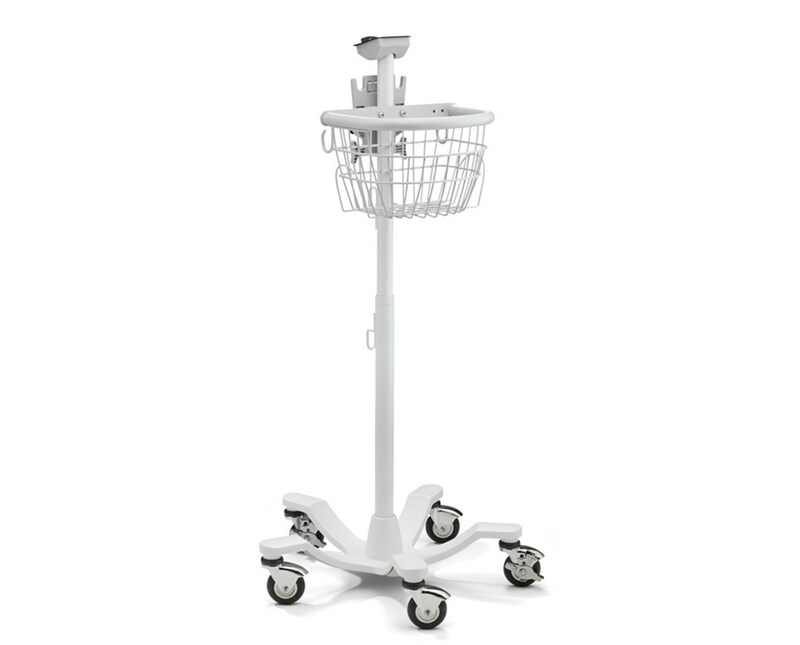 An oversized storage basket (measures 12" W x 8" D x 7" H) attaches to the pole for plenty of space for cuffs, power supply and accessories.